Back when I first arrived on Svalbard in 2010, we had a saying: “The sun always shines in Oscar II Land.” Looking out across Isfjord from its Southerly coast, it seemed to us that the angular peaks across the water were bathed in perpetual golden light. I suppose it’s the Arctic version of “The grass is always greener on the other side,” because having just returned from Oscar II Land for the first time, the myth that it is always sunny has been blown to smithereens. Over the course of a week spent there, I believe we saw the sun once. The snow and rain were almost constant and I have never encountered such consistently flat light. As one of the guests we were guiding put it, “It felt like skiing through eternity.” One day spent descending the heavily-crevassed Esmarkbreen stands out as particularly otherworldly. Leading the rope team from the front (I had decided it was better that I fell into a crevasse than my middle-aged guests), the whiteness was impenetrable. Land and sky were utterly indistinguishable before my eyes. There was no way of telling the incline; nothing to take a compass bearing off; no way to know how fast I was skiing. All I could tell was that I was moving, because I could hear the noise of my skis cutting through the snow. I dared not look back at my guests; to do so would have been to lose my bearing and veer off into the whiteness, a move that could only be corrected with painstaking reference to the GPS and much zigzagging. Besides, had they been struggling I would have felt a tug at the rope connected to my harness. Our route through Esmarkbreen’s tangled crevasse field was nothing short of miraculous. I had judged from the map the previous night where I thought the crevasses might be and received some supplementary information from Morten, who has travelled this route before. Even so, the path we carved over the glacier cut through a sea of deep ice-chasms like a laser-guided missile. By sheer fluke we found our way through this murderous terrain in zero-visibility; our good fortune only becoming apparent when the clouds lifted to reveal the labyrinth we had evaded. At the bottom of the glacier, we untied ourselves from the rope-team and the guests asked me in hushed tones how I had known where to go. I waffled something about reading the landscape and intuition. The truth: sheer, bloody fortune. But it’s too much fun pretending to be some sort of Arctic wizard. The ski trip to Oscar II Land is the now-traditional culmination of this year. The students invite guests from the mainland who come for a week-long skiing tour on which our newly acquired guiding and hostmanship skills are put to the test. I thought I’d try out a trick that I learned from Knut on our ski trip to Newtontoppen; to brew fresh coffee for the guests every morning. The guests very kindly drank the inconsistent mixture I presented them with each morning, with one of them claiming at one point “I like the grit… it’s good to have some texture.” Anniken really hit the spot by cooking spectacular three-course meals every evening, which went down a storm and to finish our trip, we even provided a wine and cheese evening by a bonfire on the beach. Though the trip is not one of my favourites here on Svalbard (mostly owing to the nonexistent visibility; it does not really feel as though I have seen Oscar II Land at all), it was a pleasure to have such appreciative guests on tour. After a year being spoilt by this awesome landscape, I sometimes forget how it felt to see it for the first time. I was reminded by the guests. One, who had no belief in God, described a day spent exploring glacial crevasses as a “semi-religious experience”. 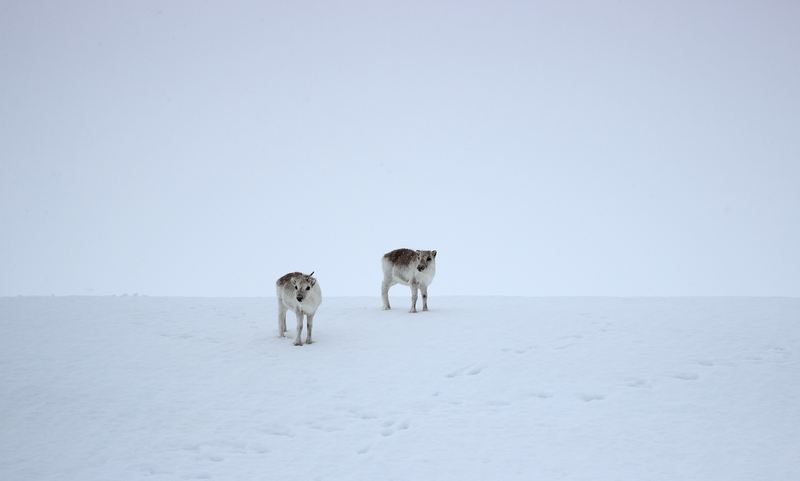 For another, coming to Svalbard was the fulfilment of a boyhood dream which left him speechless. Shortly after my last update, I welcomed another visitor to the tent; latest in a series friends from England. I’m afraid that regardless of what he wanted to do, I had very particular ideas about how we were going to spend the week. The snow was melting and my odds of seeing a bear melting with it. I had to have one last shot at a snow-mobile trip to the East Coast and fortunately, Chris was fully onboard with such an expedition. So it was that just 24hrs after his arrival on Svalbard, we rented a snow-mobile and rocketed into the wild. The snow is now almost gone and with it has gone a large measure of freedom. Never in my life have I had access to so much horsepower and so much land on which to unleash it. Almost anywhere else in the world, on almost any vehicle, your route is confined by roads and your speed by the laws of the land. On Svalbard, before the melting of the snow, the vast, flat-bottomed valleys create endless corridors down which you can fly. We set off under the midnight sun. We had chosen the “night-time” because it guaranteed us this wilderness to ourselves and our companions, Alex, HP and Jakob, were in a racing mood. At last. Two hundred metres from our scooter, a bear stood on its hind legs and regarded us sternly. We stared back; each judging the other. The bear broke the standoff first, dropping to all fours and, very deliberately, turning away to make for the sea-ice. Careful not to harass the animal, we drove to the edge of the morrain and watched it move away. It wanted nothing to do with us. They’re enormous animals. I’ve seen stuffed specimens in museums and public buildings which weighed up to 850kg (close to 1900lbs) in life but until you’ve seen a moving, breathing bear with your own eyes, it is difficult to comprehend the sheer power of this predator. The one we saw at Moonbukta was not, judging from the tracks, especially large but even so, it radiated strength. Seeing one after such a long time capped off a splendid winter season for me. For Chris, it was less than 24hrs from arriving on Svalbard to seeing a polar bear – not bad, considering that just 2% of the tourists who come to Svalbard are able to say that they saw this creature. In Norse sagas, it is described variously as “the Ice-berg Rider”, “the Seal’s Dread” and “Whale Bane”. Inuit call it “the Great Wanderer”. It was a privilege to catch sight of it at last. Yesterday, I finished my final exam for ANG. 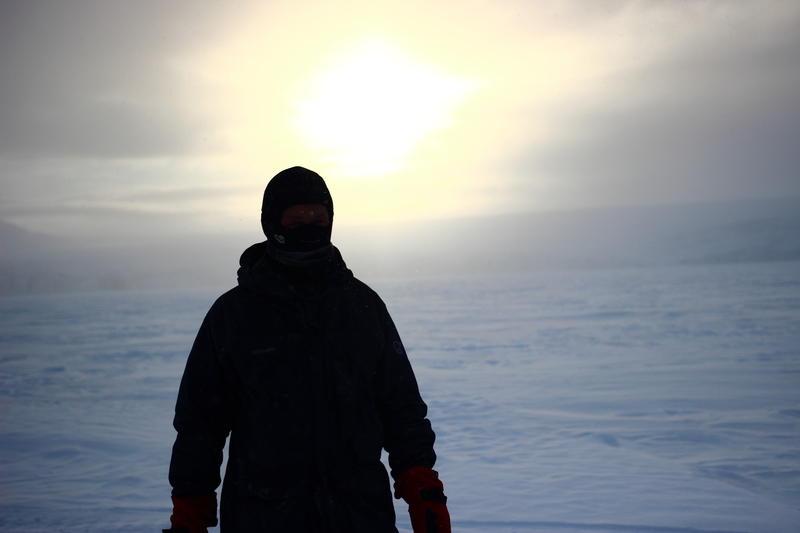 The course is now completely over, but my adventures on Svalbard are not. Tomorrow, I head to Isfjord Radio on Svalbard’s West Coast to begin my first proper job with Basecamp, acting as a host for the guests who visit this remote and isolated station, located almost 50km overland from the nearest road. When that is over, I have a brief stint back in the UK before returning to Svalbard for a training position on the polar cruise ship Fram. Assuming I do not discover that guiding on a cruise ship leads to horrendous sea-sickness, I will stay on the boat for two circumnavigations of Svalbard and a trip to Iceland, via the world’s least visited national park in Northern Greenland. It is an exciting prospect and testament to how many doors this fantastic course has opened for me. If you are considering applying, I wouldn’t hesitate. can you tell me how difficult its to get admission in ANG and wat are there selection criteria.